When you tell people that you are a party travel host, they get this perception of you like you’re this uber confident party animal. Of course, you’ve got to be confident and like having a good time, but the most important thing to being the party-starter is being approachable. We go to the same events and club nights each week like Go Deep at Apollo and Welcome to the Jungle, and guests always ask us if we get bored. The truth is that the guests make it different each week and some really stick in your mind. Before I started, I had all these ideas in my head of what the job would entail. I kind of thought I’d be like a babysitter. But it’s more like being a friend so that guests have a friendly face around if they need something. Sometimes, you have to get your serious head on though and walking 500 guests along The Strip in Malia is one of those times! One of our weekly jobs as hosts is scanning guests into club nights. Party Hard guests have a QR code and it’s hilarious because the non-Party Hard clubbers are desperate for one too. They get FOMO and want to be scanned too. Sometimes I’d just pretend to do it! In 2018 I saw Tom Zanetti, Not3s, Big Shaq (and his jacket), Phillip George- it was immense. But of all the events, my favourite is the Malia Pool Party. It’s more chilled out and you get a bit of time to chat to guests whilst they lounge by the pool. 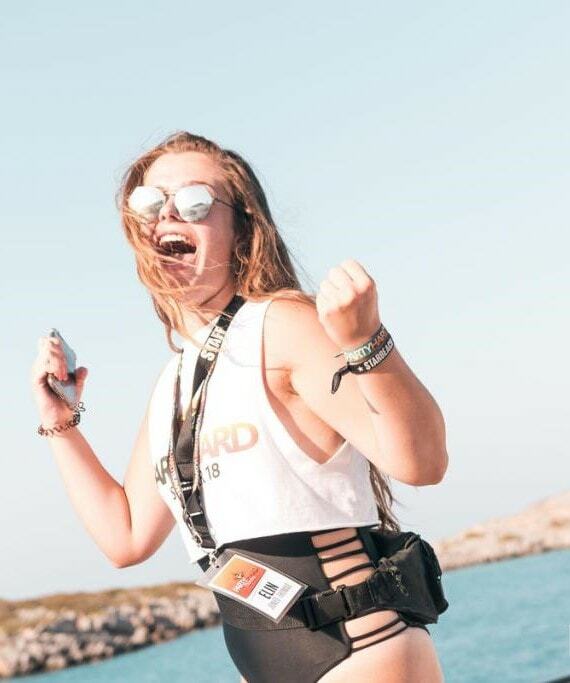 If you’re ready to meet our awesome rep team out in Malia this summer, then get booking your 2019 party holiday to Malia with us now! Call us on 0203 627 4443 or email us at info@partyhardtravel.com to get booked up for 2019 now!